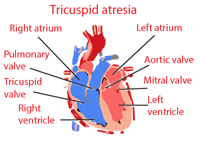 Tricuspid atresia occurs in a very small percentage of newborns (about 0.005%). Most patients with this condition have other heart diseases. Tricuspid atresia may occur as an isolated defect, then associated with pulmonary artery stenosis and atrial septum defect or associated with ventricular septal defect or patent ductus arteriosus. Blood from the right atrium pass into the left atrium, come in lungs and pass through the ventricular septum defect in the right ventricle, or if it is a case of a rudimentary right ventricular and pulmonary artery, blood pass through the ductus arteriosus from the aorta in to the pulmonary circulation. Tricuspid atresia prevents the heart to supply the body with blood enriched with oxygen. This defect occurs before birth, because tricuspid valve does not develop properly. Since the blood is not able to flow through the tricuspid valve, the right ventricle fails to develop. Babies born with tricuspid atresia get tired easily, have bluish skin and thay are often short of breath. 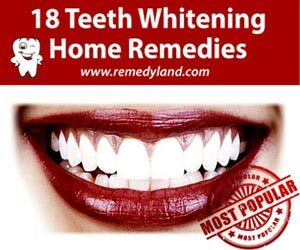 The test can establish a strong, apical impulse and systolic murmur and thrill along the left edge of the sternum, then cyanosis, polycythemia and clubbed fingers. ECG shows the electrical axis deviation to the left or ventricular hypertrophy. For a definitive diagnosis is necessary to make a heart catheterization and angiocardiography. If there is a low pulmonary blood flow, the method of choice is the anastomosis between subclavian artery and pulmonary artery. So far has not be proven that anastomoses between right atrium and pulmonary artery is useful. As soon as we establish the existence of tricuspid atresia, baby will be admitted to the neonatal intensive care unit, where the baby is going to breathe with the help of a breathing machine and will be prepared for surgery. In the first operation, if required, artificial shunt is placed to maintain the flow of blood through the lungs. After a short break, and recovery, cardiologist is going to decide when the baby is going to another operation, and that is hemi fontan procedure or Glenn shunt, that connects half of veins that carry blood with low oxygen directly to the pulmonary artery. At the end comes the Fontan procedure in which the rest of the veins that carry blood with small amount of oxygen are directly connected to the pulmonary artery and pulmonary artery carry further that blood to the lungs. After the operation, the patient’s condition is improving, but it can cause complications such as: arrhythmias, loose stools that last for a long period, accumulation of fluid in the peritoneal cavity, congestive heart failure, blockage of the artificial shunt, cerebrovascular accident or sudden death. The prognosis is not good in terms of life. The Blalock Taussig shunt is a temporary surgical operation that is performed on newborn babies. The Blalock Taussig shunt is done when the heart is not delivering enough blood enriched with oxygen to the rest of the body.